My son LOVES PICKLES and when I say LOVE I mean LOVES. 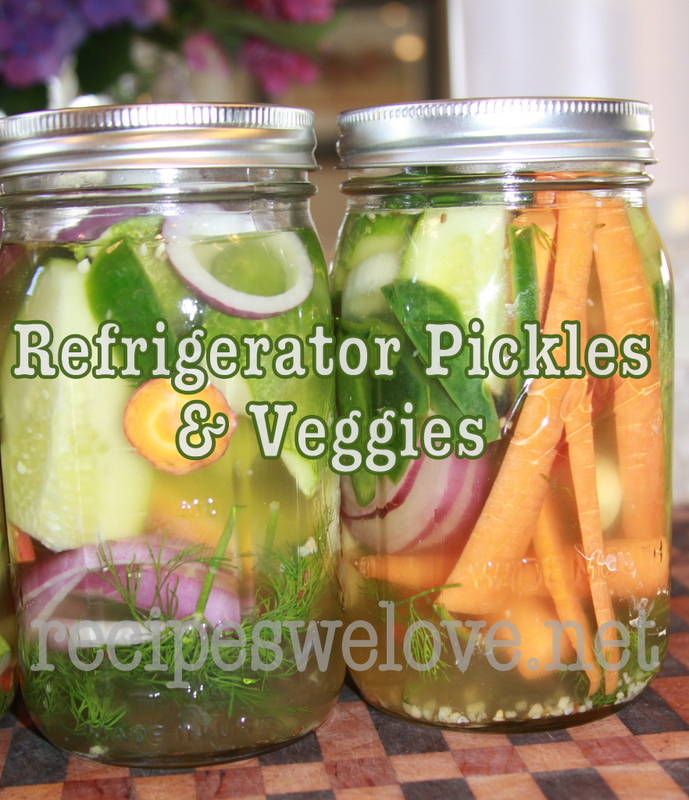 So with our first cucumbers of the season we made these fresh Refrigerator Pickles. 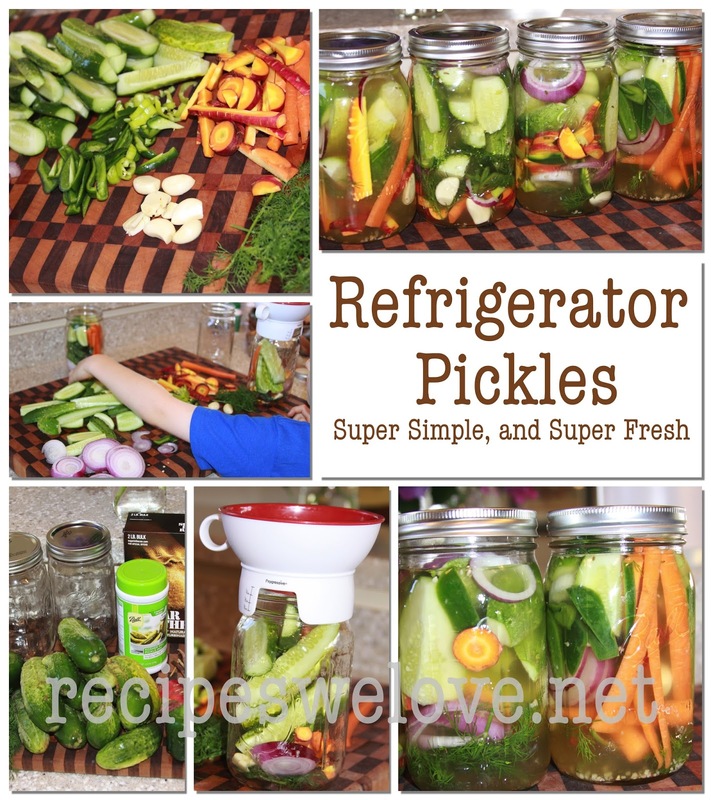 They are super easy, my 6 year old even helped do most of it, and so fresh and crunchy. 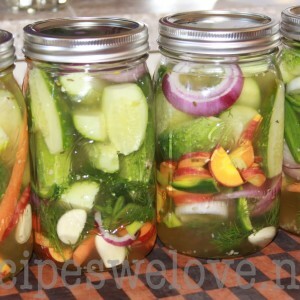 In a pan add water,vinegar, salt, pickle mix, and sugar and bring to a light boil then ladle the liquid mixture into clean jars packed with dill, garlic, and vegetables. 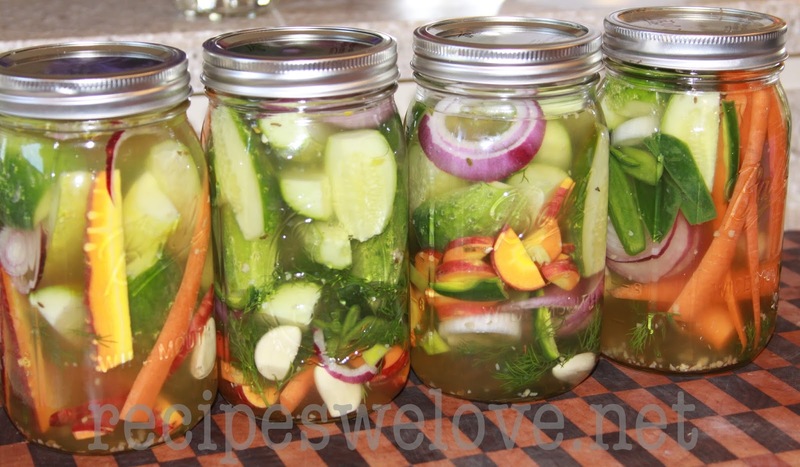 Once the jars are filled add the tops and lids and place in the refrigerator then wait at least 2 days before you start eating. 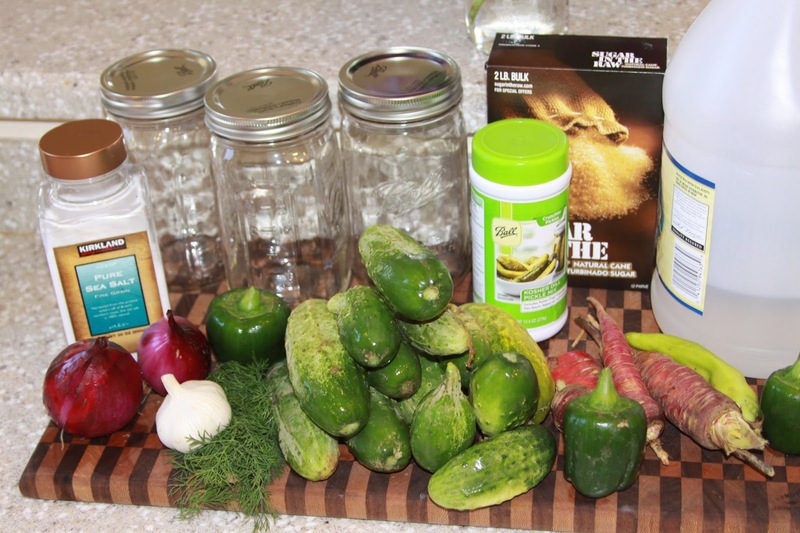 TIP: use a wide mouth jar so you can easily get the vegetables in and out of the jar. Makes 3 quarts, there are 4 quarts in the pictures but my 6 year old packed the jars and they were not packed very tight.